Francesca’s academic background is in Media Studies (with majors in contemporary history and audiovisual semiotics) and Film Archiving. Before joining the DARIAH CIO team (in the context of DANS-KNAW- Data Archiving and Networked Services in The Hague) she worked and conducted research for European projects and institutions (Europeana; CEU) for the accessibility of cultural heritage, both directed to general users and academics. Before moving back to the Netherlands at the beginning of 2016, Francesca worked as a researcher for the CENDARI project at Trinity College Dublin, Ireland. 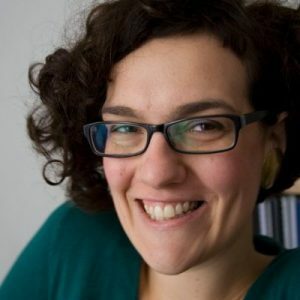 At DANS-KNAW Francesca is a member of the research team and the data science group; she is also involved in DARIAH-EU as part of the Chief Integration Office and the European Project Parthenos as co-coordinator of the WP on Common Policies and Implementation Strategies.